The party apparently never stops in Central Illinois. For the first time, the University of Illinois Urbana-Champaign has been crowned as the nation's top party school by The Princeton Review. The publication's annual ranking placed the campus above several other midwestern schools previously recognized for majoring in boozy madness, like the University of Iowa (No. 2 this year) and the University of Wisconsin-Madison (No. 3). It is the alma mater of several distinguished alumni like Nick Offerman and Hugh Hefner, after all. 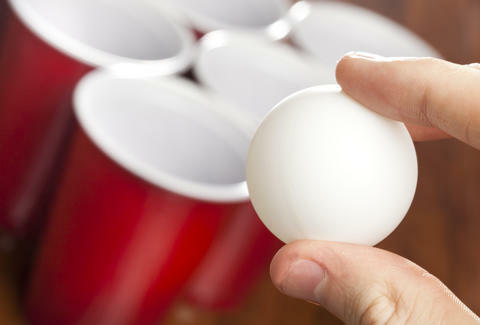 U of I takes the title from last year's party king, Syracuse University, which fell to fifth place on this year's list. It must have dropped the beer pong ball. The ranking is based on survey responses from 136,000 students at 380 top colleges across the country, or at least the students who aren't too busy partying. But as Wiz Khalifa astutely put it, "Work hard, play hard." Tony Merevick is Cities News Editor at Thrillist and partied pretty hard in college, but that was a ways north in Chicago. Send news tips to news@thrillist.com and follow him on Twitter @tonymerevick.